THE SMASHING PUMPKINS were the musical guests on last night's episode of "The Tonight Show Starring Jimmy Fallon". The band played two songs on the program: the new single "Solara" and the classic song "Zero", which originally appeared on SMASHING PUMPKINS' 1995 album "Mellon Collie And The Infinite Sadness". 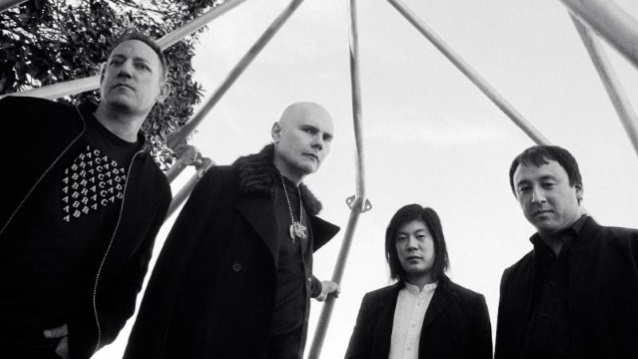 "Solara" marks SMASHING PUMPKINS' first recording to feature frontman Billy Corgan, guitarist James Iha and drummer Jimmy Chamberlin together in 18 years. The track, which was produced by Rick Rubin, also features longtime guitarist Jeff Schroeder.